People are the organization’s greatest asset. It’s equally true to say that people (malicious insiders) are the greatest threat. Managing identity has the potential to create significant value and avoid significant loss, especially in times of high personnel turnover. But Identity Management can also be a source of significant cost if it’s not implemented carefully. 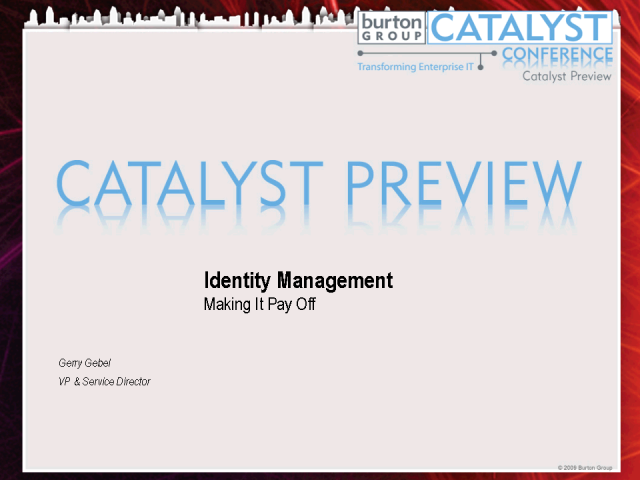 This track will teach you proven methods for getting high value out of Identity Management technologies and processes at low cost.